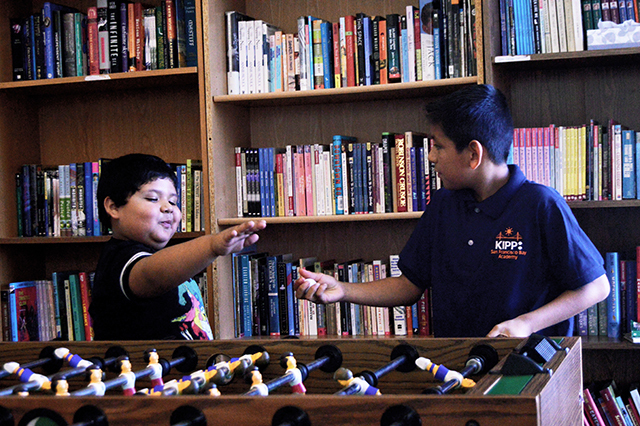 An educational nonprofit, the Schools, Mentoring and Resource Team, known as SMART, that connects low-income youth to educational opportunities has joined a string of nonprofits being displaced. SMART is slated to leave its location at 1663 Mission St. next July and is unclear where it will end up. SMART facilitates matches between schools and families who may not have access to information because of language, technological, or financial barriers. The nonprofit also provides after-school tutoring, test preparation, mentoring, and help with scholarship and financial aid applications. Despite the efforts of private schools to recruit a more economically and racially diverse student body, and good retention rates of SMART volunteers, higher numbers of students have left the program in recent years. According to Nonoko Sato, executive director at SMART, this may be indicative of low-income families being priced out of San Francisco altogether. However, those still in the program tend to live in the southern side of the city and Sato said that made Mission St. location work well for the families. Access to a reasonable commute is important for the program’s 165 students and their families, as well as more than 100 unpaid tutors who volunteer at SMART once or twice a week. However, Sato is confident that the tutors will stay with the program no matter where they end up in the city. SMART has been given displacement mitigation assistance through Northern California Community Loan Fund to help with the many challenges involved in the 2016 move. The nonprofit is aiming to stay in the SoMa or nearby in the Mission, but it hasn’t had much luck. “Unfortunately there just isn’t anything in our price range in the city right now,” said Buis. So staff and volunteers are searching for a new location in the city, knowing that their work is still highly valuable to local youth. High school senior and soon-to-be program graduate Keila Hernandez knows firsthand the lack of diversity in these elite schools. Hernandez said having mentors and fellow students to talk to helped her adapt and thrive in her new private school community.